There are only two types of people in today’s world – the milk drinkers and the non-milk drinkers. Those who don’t drink milk have their own reasons for not doing so, but for those who do, there are essentially three choices facing them; whether to drink milk raw, pasteurised or sterilised. Raw milk drinkers will staunchly defend their choice by pointing out its benefits over any form of processed fresh milk, but since the 1970’s pasteurised and sterilised milk have become the norm in urban environments. 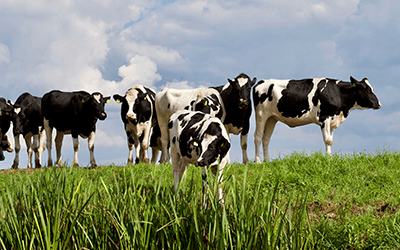 Distances between farms and consumers and the need to guarantee milk safety are reasons for this shift in preference. Milk is a great food source but is highly perishable. Microbes and bacteria introduced to the milk during milking and from contact with the air, cause it to spoil unless treated – some strains of bacteria found in untreated milk can have serious health implications for humans. Once in the milk, microbes will multiply rapidly if it is not handled properly. Rapidly refrigerating untreated milk slows bacterial activity down, but reducing bacterial populations requires further processing. Heating milk to temperatures higher than commonly-found bacteria can survive, followed by rapid chilling, is the simplest way to extend its shelf life. This is how the concepts of pasteurisation and sterilisation came about. With pasteurisation, the temperature of the milk is raised only enough to kill a broad spectrum of potential bacteria present. Heating to 63˚C for 30 minutes is the Low Temperature Long Time (LTLT) pasteurisation method most used by small-scale batch processing operations. Once pasteurised, the milk must be rapidly chilled to a storage temperature of 5˚C. This ensures its continued safety to drink for 5-21 days afterwards, without needing to heat the milk again before using it. The High Temperature Short Time (HTST) pasteurisation method is used in large-scale processing operations, where milk is heated to 74˚C for 15 seconds before chilling to 5˚C, giving shelf lives of 5-15 days. Temperature-induced colour and flavour changes are negligible; the important thing is that pasteurised milk requires refrigerating between processing and consuming it. Fresh, packaged pasteurised milk is usually available within a 5-100km radius of the farms producing the milk. Sterilisation involves heating the milk to between 120˚C and 135˚C where absolutely nothing survives. The packaging is also sterilised before filling and is usually laminated with aluminium foil to keep out light which would otherwise help to degrade the milk. Shelf lives of up to 6 months, unopened, at ambient temperatures are typical. The high temperatures used unavoidably cause slight taste and colour changes in the milk due to denaturing of some of the proteins present. The equipment required is sophisticated and expensive, and sterilisation is only economically viable when processing large volumes of milk per day. Sterilised milk generally travels long distances between production facilities and end users, often crossing international borders to reach its consumers. 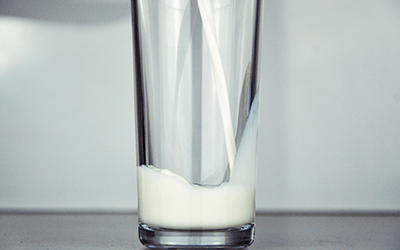 Environmentally, issues such as the use of disposable, recyclable, down-cyclable or reusable packaging, and travel miles associated with the production of the milk may affect peoples’ choice of what milk to drink. Sterilised milk is distributed over large distances giving it a larger carbon footprint than pasteurised milk. Its packaging is also not re-usable, with limited recyclability. The packaging can be down-cycled but for the most part it ends up in landfills after use. Raw and pasteurised forms of milk are most often sold in disposable packaging, but do lend themselves very well to recyclable (glass) and re-usable (glass and plastic) packaging, even though they can be more expensive. In-container pasteurisation is an innovative processing technique for smaller-scale operations, which easily makes use of reusable glass and plastic containers. Before purchasing more milk, customers return their used containers to be cleaned and reintroduced into the system. The resultant impact on the environment is lowered by reducing packaging which would otherwise end up in landfills. There are methods other than using heat to reduce bacterial content in liquids, such as micro filtration, centrifugation and ultra-violet (UV) radiation, but these have had limited success in use with milk so far. 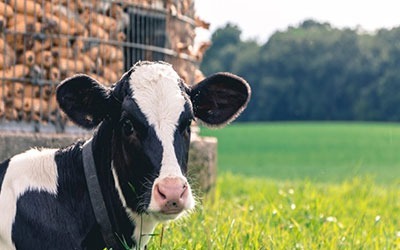 For the time being, as long as our urban populations continue to grow in size they way do now, the demand for heat treated milk as a means to keep it safe for human consumption and usable for longer periods of time will continue to increase.